Etsy marketing is taking on a whole new dimension. Back in 2013, Etsy quietly launched an affiliate program, a fact that, in late 2015, is still not well known to Etsy shop owners. If you sell your crafts through an Etsy shop, you should definitely be aware of the affiliate program and consider taking a few steps to take advantage of this Etsy marketing opportunity. In fact, making your shop attractive to participants in the Etsy affiliate program will also make your shop attractive to all kinds of bloggers who like to feature Etsy shops whether they are an affiliate of not. What exactly is an Etsy affiliate program, and why should I care? The Etsy affiliate program allows bloggers and website owners who promote Etsy shops to earn a small commission whenever a customer visits Etsy through a link from their site and makes a purchase. Etsy pays the commission. The Etsy shop owner does not pay extra if a sale comes through an affiliate link. I joined the Etsy affiliate program a while back and wrote about it. If you want more details about the program, you can read the complete article I wrote explaining the basics of this Etsy marketing program. When you're finished reading that article, come back here to find out how you can make the affiliate program work for your own Etsy shop. This affiliate program is lovely for bloggers and Etsy, but what's in it for Etsy shop owners? The short answer is, if you can get your shop promoted by bloggers who have a reasonably large audience that includes your target customer, you have an opportunity to increase your sales. Bloggers have always written about great Etsy shops, even without an affiliate program. The craft industry is great that way. Most of the people I've met or communicated with online are kind and willing to support a kindred spirit. Now that they can make a bit of money as well, bloggers will be even more motivated to feature wonderful Etsy shops. They get to write about a business they truly love and believe in, support handmade products, AND make money all at the same time. Before Etsy had its own affiliate program, a few shop owners, looking for a creative strategy to boost sales, found ways to set up their own individual affiliate programs for their shops. It's smart thinking, but the larger Etsy affiliate program is more attractive to most bloggers than a small affiliate program promoting a single shop. Experienced bloggers and website owners (those who are more likely to have the readership to bring customers to your shop) are generally more attracted to larger affiliate programs. If I had a choice between an affiliate program that lets me promote any great shop I discover on Etsy vs. a program that lets me promote just a single shop, I'm going to choose the affiliate program that lets me promote any shop I like on Etsy. A larger affiliate program provides more interesting shops to share with readers, which creates a much better chance for that blogger to earn a reasonable income - another reason the Etsy affiliate program can attract more people who are interested in promoting your shop. But How Do I Get Bloggers to Promote My Shop? I don't have numbers, but the affiliate program seems to still be in its infancy. Etsy launched its affiliate program for Canadian and UK bloggers in 2013 and launched its affiliate program for American bloggers in early 2015. With the addition of American affiliates, I think you'll see a lot of growth in the program. 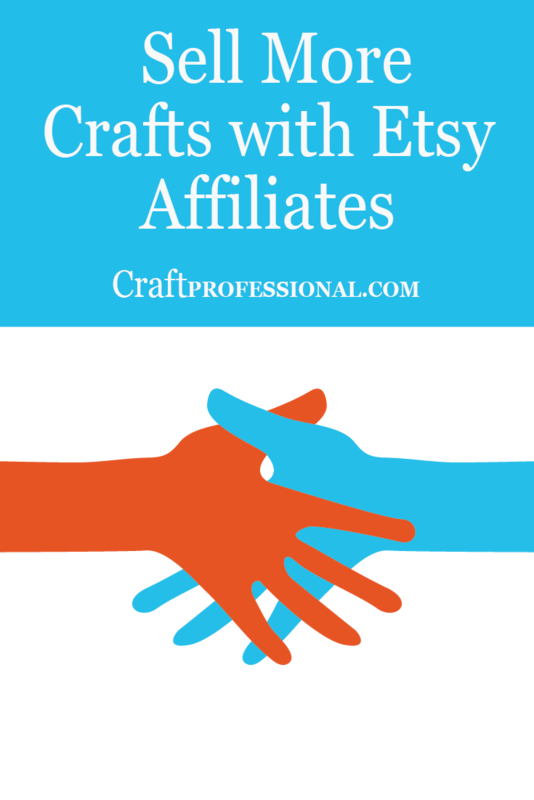 There isn't anything as simple as a go-to list of all Etsy affiliates you can check for possible partnerships. What you can do is look at influential websites and blogs that match your product niche and that feature Etsy shops frequently. They may or may not be affiliates, but if they feature Etsy shops, and you have a product that would interest their target reader, contact them, and let them know why their readers would love to know about your shop. 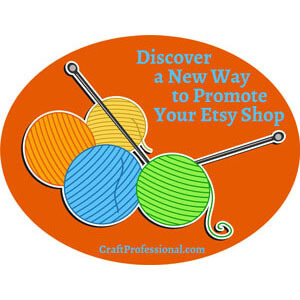 Look for Etsy marketing banners on the sidebars of blogs (like the one you'll find on this page). That tells you the site is an Etsy affiliate. Not all affiliates post those banners (honestly, they are not very effective). If you don't see them, the person may still be an affiliate. If you do see them, the person definitely is an affiliate and is probably open to discovering new and excellent shops to share with readers. You might consider posting a comment in the Etsy forum stating you are looking for participants in the Etsy affiliate program to partner with. Describe the type of customer who buys your product, so an affiliate can get a good sense whether your product is a good fit with his or her readers. I will say, this is not a tried and tested strategy but an experiment you could try to see what kind of response you get. When I was researching the Etsy affiliate program before I signed up, I searched the Etsy forum for any discussion of it and found only a couple of threads. I searched again recently, and still, there's not much talk on the forums about the affiliate program. However, an affiliate who knows his or her way around Etsy may check the forums for the topic. I definitely wanted to know what shop owners thought about the program before I joined. If I had found any Etsy shop owners who had commented that they were actively looking for affiliates to partner with, I would definitely have checked out their shop. I would have to make a judgment call about whether the shop would be of interest to my readers, but at least, as an affiliate, that person's shop would have been on my radar. This next information is not based on a scientific study of a large group of Etsy marketing affiliates. It's based on my own experiences as an affiliate looking for shops to share with my readers. I've featured at least 50 Etsy shops on my site. It has really been a lot of fun connecting with some talented and creative people. Here is some insight into the thought process I go through when looking for Etsy shops to feature on my site. First and foremost, I want to share shops or products that interest my readers. So far, I've shared shops with display furniture for craft shows, shops with craft patterns including patterns you can use to make products to sell, and some fun, quirky shops that would make a craft artist smile. Think about your own products and the niche(s) they belong in. For example, if you sell printable theme-based wedding invitations, and you follow a blogger who writes about theme-based weddings, your shop and that blog would be a perfect fit! The better your products match the interests of a blogger's audience, the more excited they will be to feature your shop. This point if crucial. Bloggers and website owners really can't share your work if there aren't shareable images they can use. Take a good look at the images on your Etsy shop. Do you have quality, compelling images that a blogger would share? Big, obtrusive logos will make it harder for a blogger to share your shop. I'm not suggesting you need to avoid placing a logo on your images so you can protect your work. I would recommend, though, that you keep it clean and subtle. As I explored Etsy shops looking for items to share, I found a couple of products that I decided not to share simply because the shop's logo was very large and distracting. Keep your photos shareable by keeping the logo small and tasteful. What Are The Price Points in the Shop? Etsy affiliates make 5% of the purchase price of an item. That is a pretty standard amount for an affiliate program. With that information in mind, think from an affiliate's perspective. I'm going to be very honest and tell you I really think twice about featuring $3.00 items. I wouldn't completely dismiss a $3.00 item if it was fabulous, and I thought my readers would love it. It's definitely NOT all about the money, and if I can share something that is exceptionally beautiful and economical with my readers, I'm happy to do that. But, I do think twice about featuring very low-priced items on a regular basis. I look for products that are priced in a range that I think my readers will find reasonable, and that price range varies and depends a lot on what the product is and what need it fills. Writing articles that people want to read takes time, so bloggers want to feature affiliate products that a) their readers would be thrilled to discover and buy and b)have the potential to earn them a reasonable income. The price points in your own niche will depend a lot on what your product is and what need or want it fills. The examples above of $3, $30, and $300 products, are just examples to take you through my own thought process. Unfortunately, I can't give you a magic price that will thrill all Etsy affiliates who check out your shop. Of course, your customers' expectations always have to come first in your pricing decisions, but do look at your pricing throughout your shop and think about it through the mindset of someone who is considering promoting your shop. Once you're working with a blogger who would like to feature your Etsy shop, you have an opportunity to build a relationship that could be beneficial to both of you in ways that you might not even imagine in the moment. If you're happy to have your shop featured on a blog, or website, be friendly, and let the blogger know you appreciate the promotion. Based on my interactions with Etsy shop owners, I know I don't really have to tell you this. Almost everyone I contact about featuring their shop is extremely friendly and wonderful. Crafters really are the best people! If you think a small change in the article is necessary, feel free to ask politely for that change. Don't ask for an entire re-write of the article; that is a daunting request to a blogger who has spent hours putting together an article. However, if someone asks me for a small change, I'm happy to accommodate that. After all, I want my articles to be accurate. For example, I once spelled a shop name wrong, and the shop owner kindly pointed out the correct spelling (embarrassing, but I'm so happy she let me know!). Another time, I featured a pattern, but the text in my article made it sound like the item was a finished product, not a pattern. That distinction is important to pattern sellers, so again, I'm very happy the shop owner asked if I could rephrase a sentence to make the article more clear. A few Etsy shop owners I have connected with have mentioned other items in their shops, or new items they are working on that are relevant to the article I've written. I wouldn't be in a hurry to rewrite a completed article to feature something else without good reason, but I certainly will share other relevant items through my social media channels to help that person get a little extra exposure. For example, I did a huge series on Halloween patterns on Etsy and was in contact with 40+ shop owners. One shop owner mentioned an adorable Frankenstein hat pattern I hadn't noticed in her shop, and another shop owner mentioned that she had a Yoda hat pattern coming out soon, and she let me know when it was posted in her shop. I made a point of sharing those items through social media. Other shop owners have sent me links to their own websites separate from their Etsy shops, which I enjoy exploring and also like to share on the social media platforms I use. Always keep the mentions of other items or sites casual and low pressure. Something along the lines of, "I also have a Yoda hat pattern coming out next week that your readers might like. Can I send you the link when it's published?" or "Here's a link to my own website. It features several products that are not in my Etsy shop." If you have your own social media channels or a newsletter for promoting your products (and you should!) consider promoting the blogger's article to your own followers, and let the blogger know you have done so. I'm certainly not looking for or expecting social shares when I feature someone's Etsy shop on my site. However, it is extremely welcome when a shop owner tells me they will share the article with their Facebook followers or on other social sites. It tells me they are savvy about promoting their shop, and goes a long way in relationship-building. Finding ways to network and connect with influential website owners in your niche, whether they are affiliates or not, can help to boost your Etsy shop's profile. As the Etsy affiliate program grows, I think you will find more and more site owners and bloggers who are eager to share fantastic Etsy products with their audience. It's smart to ensure your Etsy shop is attractive to those people, so you can benefit from this opportunity. 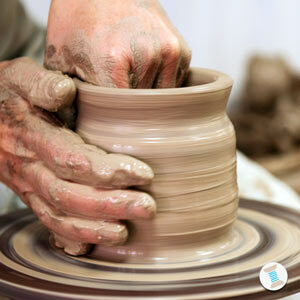 Learn more about the Etsy affiliate program and how it can help you sell more crafts. Is it time to launch your own craft business website? 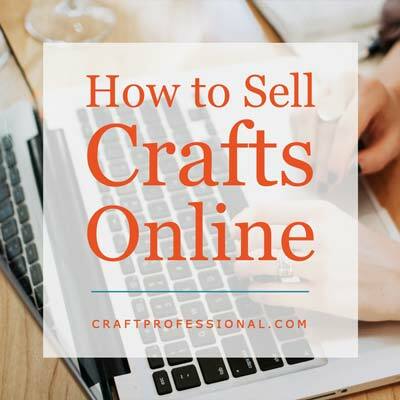 Thinking about selling your crafts on Amazon? Learn more here.